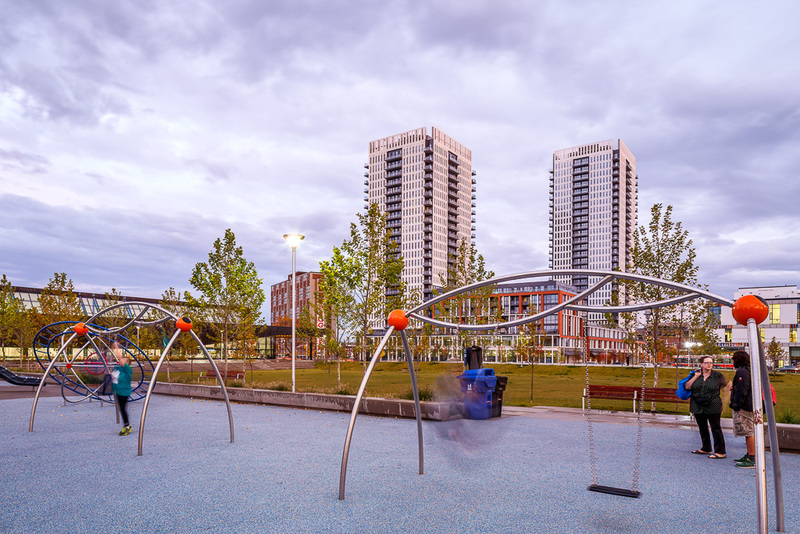 One Park Place is part of the revitalization of Canada’s oldest and largest social housing community, Regent Park. In the 1940s, 69 acres of dilapidated housing was razed and the street grid was erased to create a self-contained, strictly residential development. 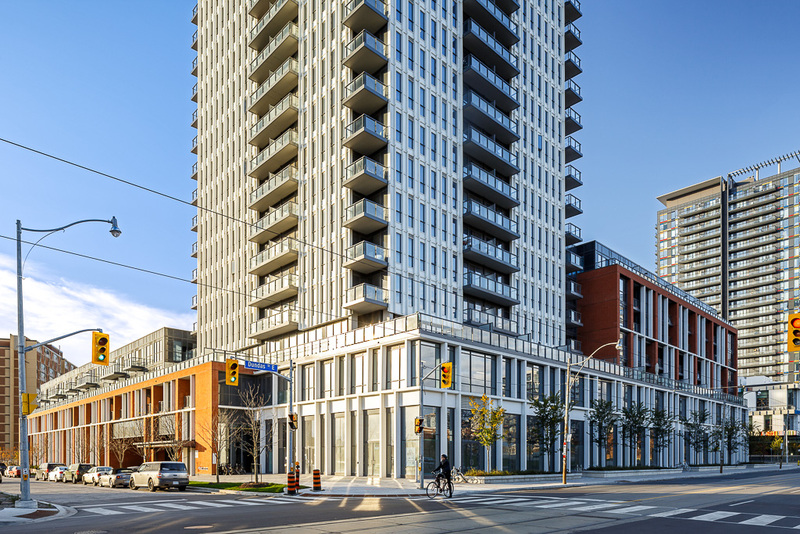 In 2005, the City of Toronto began to work with Daniels Corporation to recreate Regent Park into a mixed-use and mixed-income neighbourhood, with a re-established street grid connecting to the rest of the city. 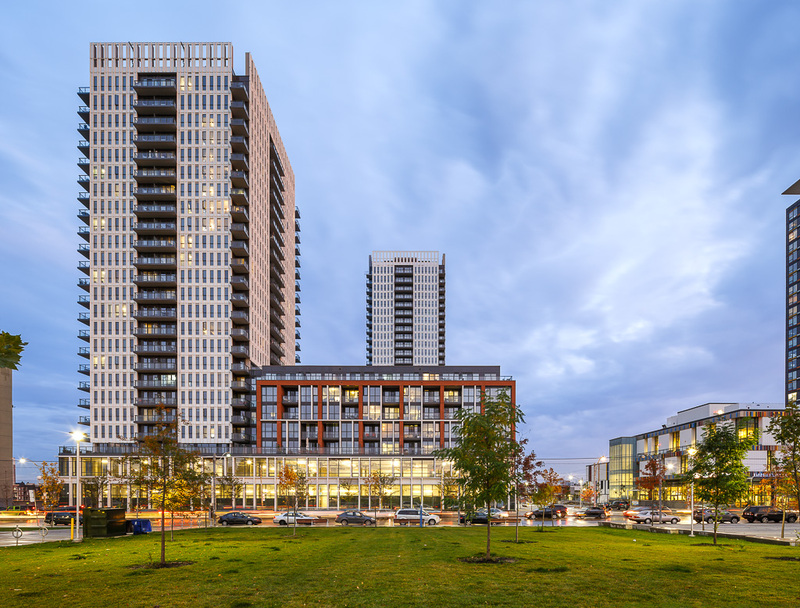 Hariri Pontarini designed One Park Place and commissioned us to document its progress last fall. 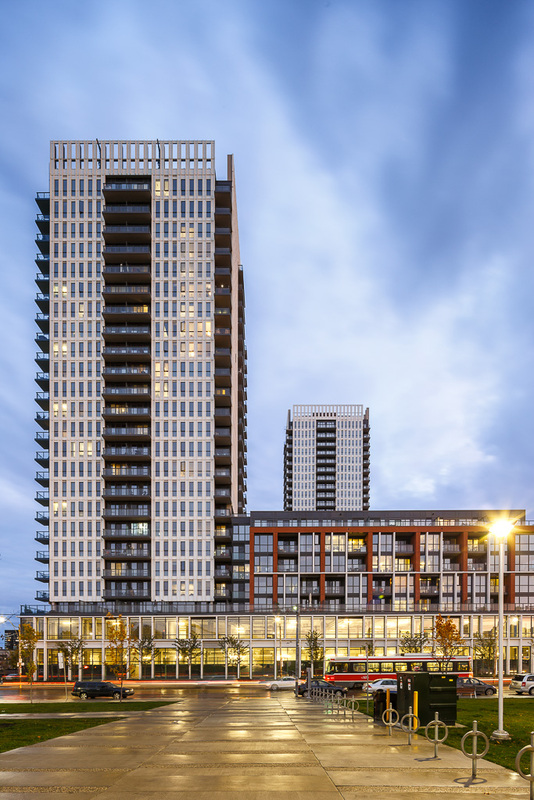 This complex features two towers—one 25 storeys, and one 29 storeys— and occupies a full block. 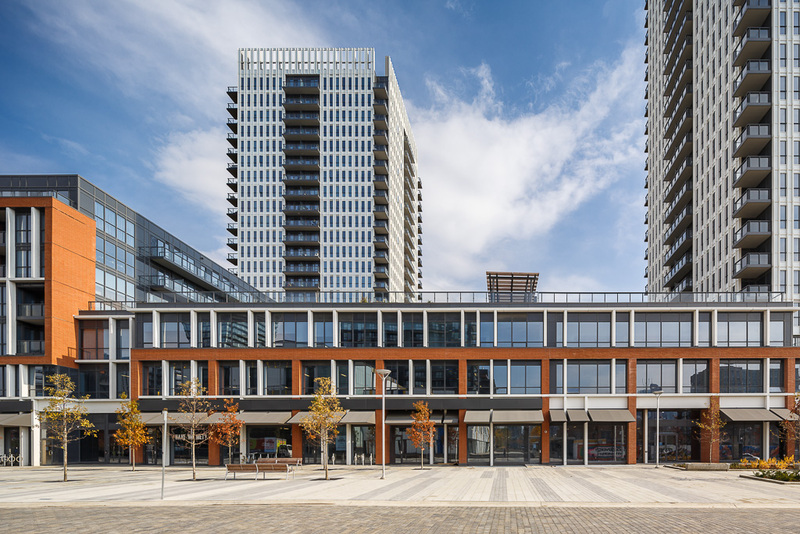 It contains offices, market-rate condominiums, amenity space, and ground floor retail that will help to re-establish an active street experience that was lost 60 years ago. 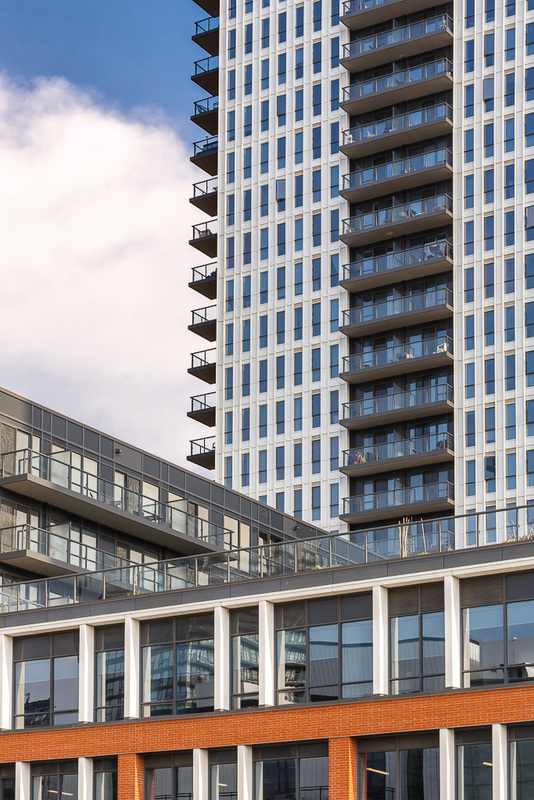 Along with various specific views and details, the brief entailed capturing neighbouring Regent Park and community. As in our previous post, late fall weather posed quite a challenge, but with some creative time management, flexibility and a lot of perseverance, we managed to wrap up the shoot successfully! 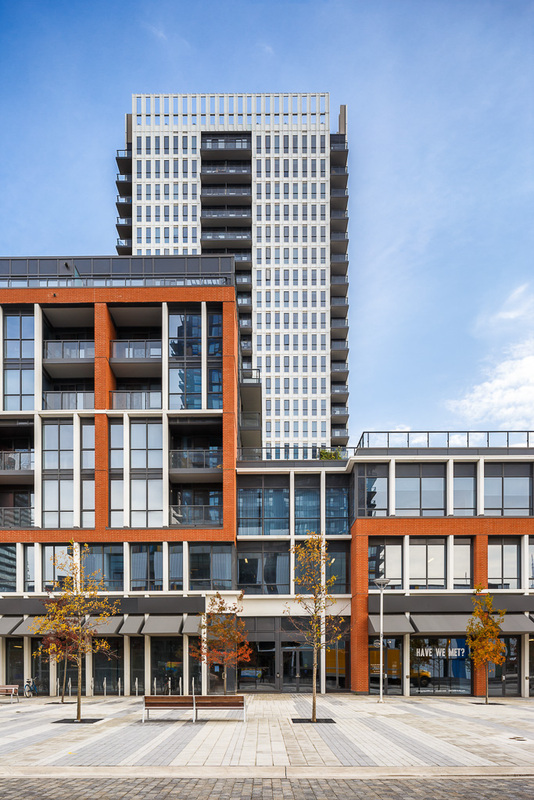 The red brick of the podium recalls the historic neighbourhood building fabric, and contrasts with the spandrel glass and deep mullions of the towers. These white mullions extend past the roof, concealing the mechanical penthouse and creating a distinctive tower cap. Slender white precast fins visually integrate the podium with the towers. Seeking to set new sustainable design standards for the community, the building includes 50% solid surfaces in order to increase efficiency and minimize thermal transference. Landscaped spaces and green roofs provide a visual and physical resource for residents while mitigating the urban heat island effect. 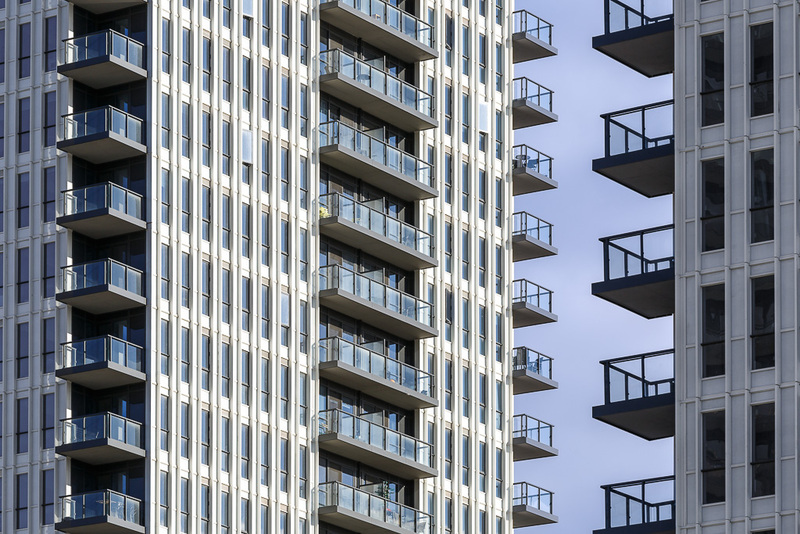 These ecological engineering efforts aim to achieve a LEED Gold target.